What makes Bookmap so valuable for a traders? Because of its unique market data visualization and analysis tool set. It includes instruments that give you an advantage in the market, providing clarity on what’s happening so that you can make better decisions. Using the right tools and continuously improving your skills will win you this game called trading. 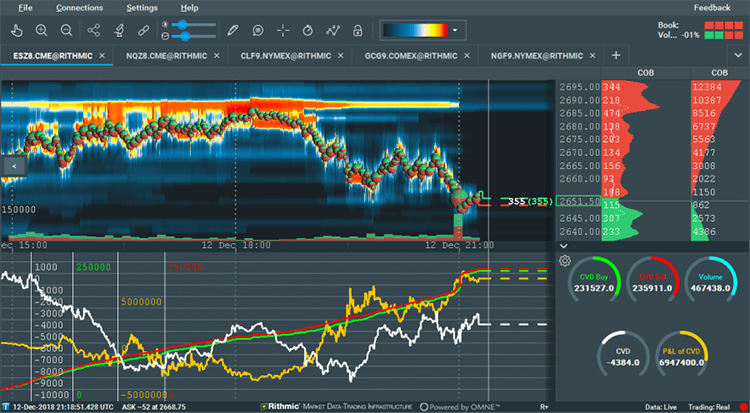 Bookmap’s heatmap and volume dot features allow you to see the limit and market orders being issued on the exchange. 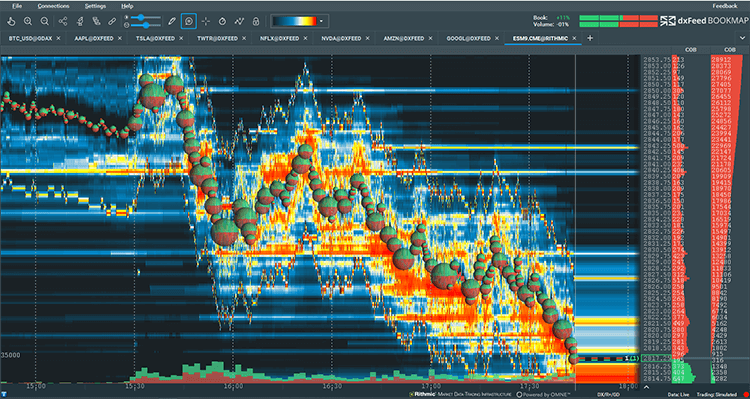 The limit orders are revealed through the heatmap and market orders are shown through volume dots. After you subscribe to an instrument, you will be able to load full depth data from the previous 24 hours. This will allow you to see levels with high liquidity from the previous day, increasing your understanding of the current market state. This option is free for crypto/digital but paid for some of the connectivities. 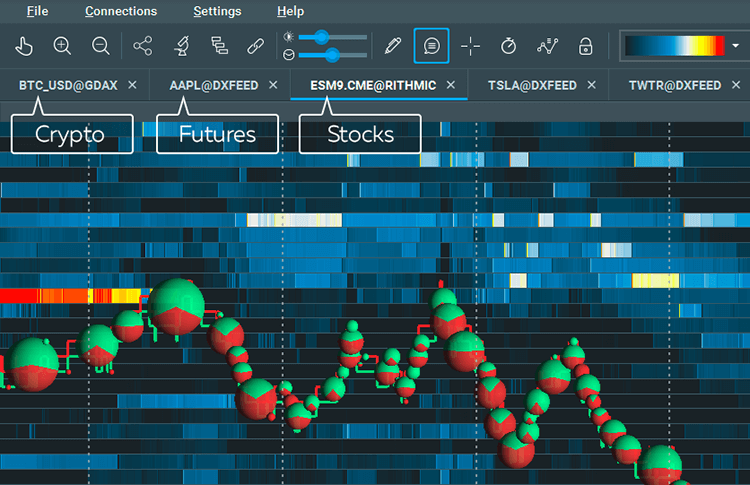 Based on traders’ requests and Bookmap’s expertise in HFT trading, Bookmap developers have created a unique set of indicators that add transparency and cover most of traders’ needs. Confirm your trades with Imbalance Indicator, Iceberg Detector, Large Lot Tracker, Advanced Volume Delta, and more. Connect simultaneously to Futures, Stocks and Digital Currencies. 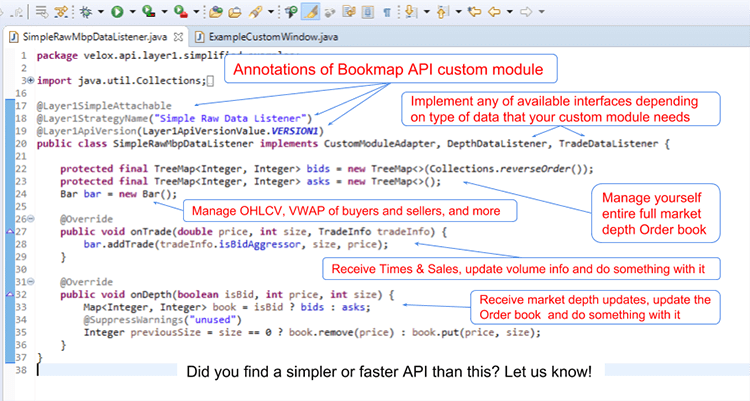 Analyze multiple instruments in parallel, and trade directly from within Bookmap. 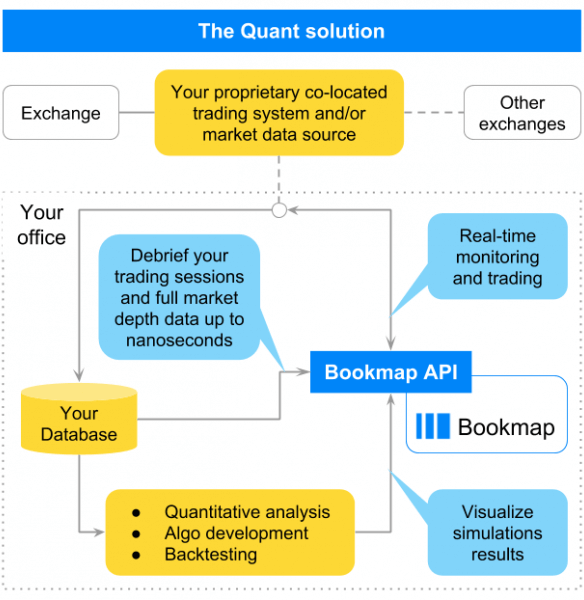 Bookmap supports more than 15 connections to market data platforms and exchanges. Place, modify, and cancel orders with one-click trading directly from the chart or from the DOM column. This offers a tremendous advantage for pinpointing trade location and expediting trade execution.